Hair structure can wear out over time and become dull. In this case it consists of an unhealthy appearance. Getting rid of the unhealthy appearance and to help hair shine, argan oil can be used. Argan oil contains several vitamins and antioxidants. This content allows the hair to eliminate the hardness of hair. Repair The Damage To The Hair:The use of chemicals and other sheet forming process can cause damage to the hair. Argan oil is also used to fix the damage. Dandruff Problem: Dandruff is a skin problem caused by dry scalp. The moisture balance of the skin should be protected to correct the problem. Argan oil can be applied to the scalp for dandruff problem. Moistened skin does not flake off.. This process can be applied 3 times per week. Natural Styling Tool: Lean and lightweight argan oil is also used as hair styling material. 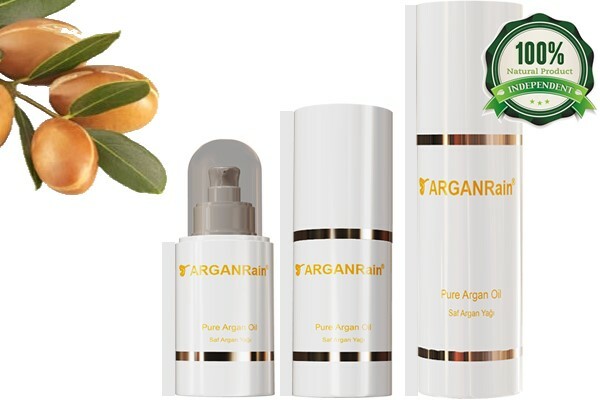 When an amount of the pure ArganRain Argan Oil is applied to the hair, the styling of hair becomes easier. Also during heat treatment also it protects hair against heat.